Barcelona is a sprawling, cosmopolitan metropolis and one of the most populous areas in the European Union. 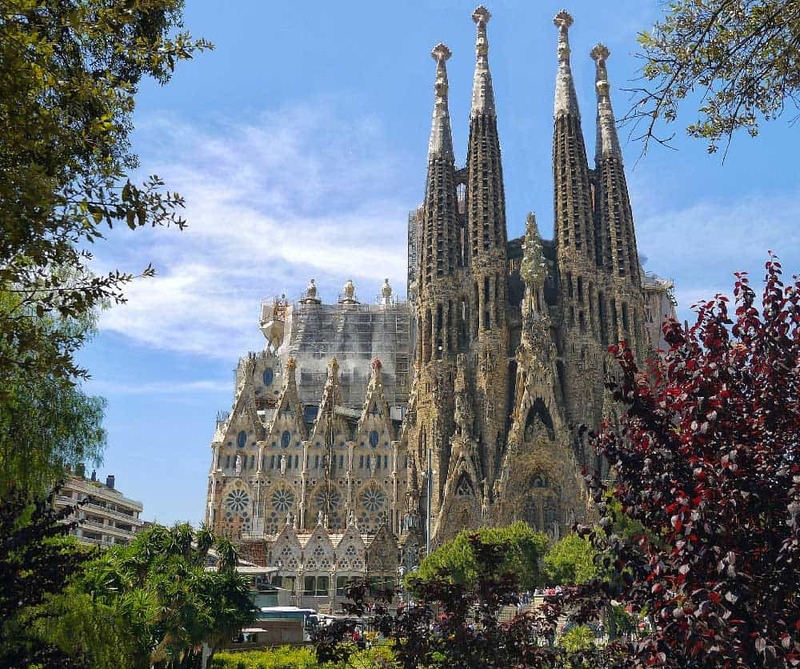 One day in Barcelona may not be enough time to see it all, but it will give you a taste of what the most popular tourist destination in Spain has to offer. Trying to work your way through the entire city in just one day is simply an impossible task. From ancient museums and churches to bustling flea markets, there are endless choices of things to see & do in Barcelona to fill your day. Your one-day itinerary will take you to some of the most impressive sights in the city, from the famous Casa Batllo to the crowded Boqueria Market. While you can take your time to explore each sight, you should avoid dawdling for too long. With just 24 hours in Barcelona, you’ll need to try to move swiftly from one destination to the next. Most of the destinations are easily reached on foot. If the day starts to get away from you (as it often can with all of our one-day city itineraries), you can always hop on a bus or take a taxi to make up some time. If you remember these tips and follow this convenient Barcelona itinerary, you should be able to pack your day with fun sightseeing throughout the city. 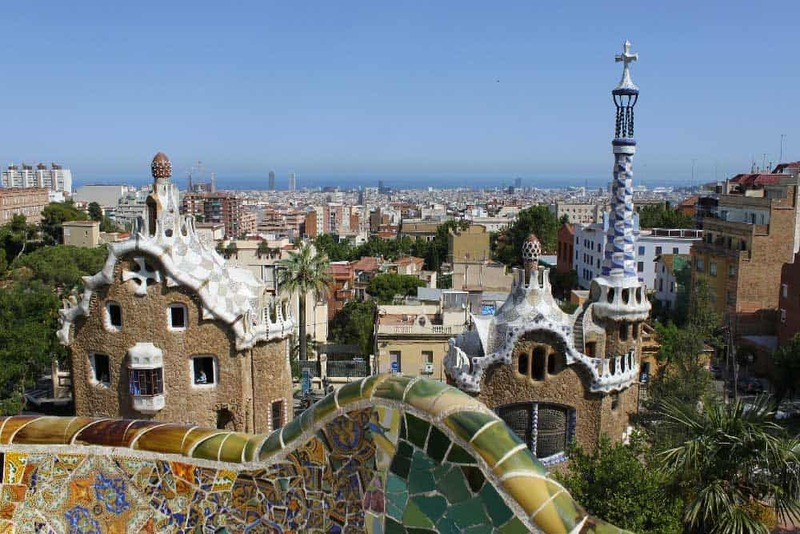 You’ll start your Barcelona itinerary in the large Güell Park (Parc Güell) and work your way toward the centre of the city. Güell Park is visually unique and serves as a great example of what it would be like to live in a Dr. Seuss book. The area is full of unique structures and vibrant colors. It’s a kaleidoscope of interesting buildings, winding pathways, and large crowds. It’s one of the most interesting places you’ll ever visit and quickly fills up with tourists throughout the day. Be sure to get your tickets online in advance to avoid disappointment. People have been turned away at the gates due to capacity limits. Getting there bright and early is a great way to begin your trip through the city. If you’re hungry, you can check to see if the park restaurant is open. You’ll also have plenty of chances to grab a quick bite on your way to the next destination. Preparing for your Barcelona itinerary? Don’t forget to protect yourself with travel insurance! When you tire of walking around the colourful buildings in Güell Park, start walking southeast toward La Sagrada Familia. This walk is about 25 minutes and you’ll pass about a dozen tapas bars and restaurants. Take Carrer de Sardenya. About halfway through the walk, you’ll see La Sagrada Familia Church. It’s the Church of the Sacred Family, which is also the name of the neighbourhood. The gothic-inspired architecture of the church may make you think that you’re looking at a historical site. Surprisingly, the church was designed by the same individual responsible for the child-like creations at Güell Park. Antoni Gaudi is a famed architect and was devoted to the construction of this church until his death. The church is technically still under construction and is expected to be completed in 2026. The contrast between the park and the church is the perfect reflection of Barcelona. It’s a city full of historic gothic-style buildings, bright modern structures, high-rises, and sprawling neighbourhoods. Your next stop is another 25-minute walk, but after this trek, the rest of your destinations are more closely situated. Head southwest on Carrer de Mallorca and work your way toward Carrer d’Arago. On this long stretch, you’ll pass several historic churches and buildings. If you start to get hungry again, you’ll also pass many more restaurants and cafes. As you approach the next location on your sightseeing tour of Barcelona, the bright colors of the massive building should help you guess the designer. 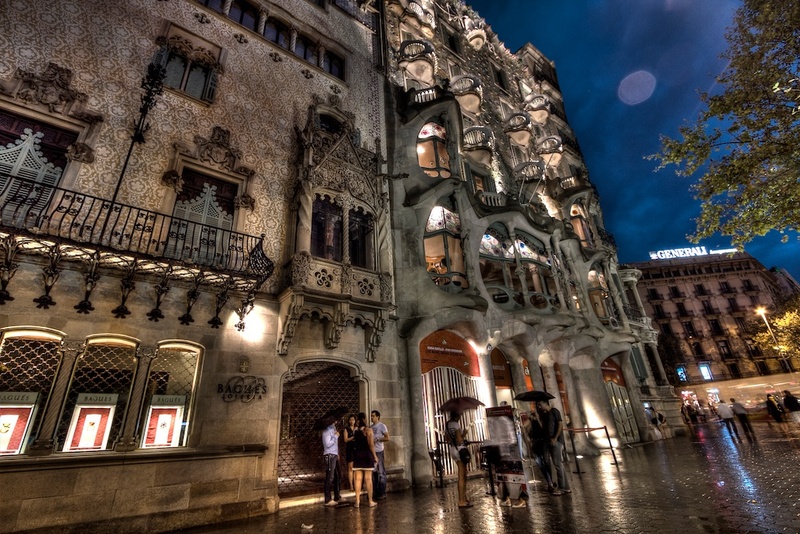 It’s another masterpiece by Antoni Gaudi called Casa Batllo. It’s a renovated house that features the interesting charm of Gaudi’s work. The style of the building is considered modern or expressionist architecture. Sandwiched between pastel-coloured buildings featuring the typical Catalonia architecture, Casa Batllo stands out. The house has been open to the public since 1995 and is now a UNESCO World Heritage Site. It’s another interesting look into the history and culture of this city. While Casa Batllo is a wonderful Barcelona landmark, the main reason for stopping here is that it’s just a straight walk to the next stop in your itinerary. When you leave Casa Batllo, you’re less than 150 meters from Passeig de Gracia, which will take you toward the centre of the city and Placa de Catalunya. Some tourists start their trip to Barcelona at Placa de Catalunya. It’s near the centre of the city and contains one of the main tourist offices. Starting here would keep you from being able to get all the way out to Güell Park and back. When you reach this public plaza, you can stop at the tourist office if you feel like loading up on brochures and pamphlets, but the real attraction is the surrounding cafes, restaurants, stores, and sculptures. This plaza is the heart of Barcelona and where most of the major streets converge. It also separates the main districts. While you’re in the city centre, you should explore some of the shops, including the department store called El Corte Ingles. It’s the only remaining department store chain in Spain. The plaza also includes several interesting sculptures. 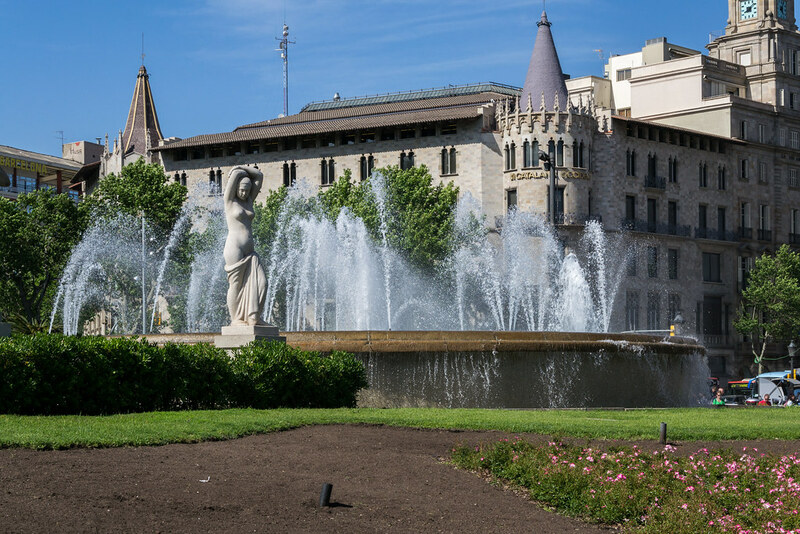 If you’re a fan of art, you should walk the public square and try to find the Neo-classical works by Josep Clara and Josep Llimona. 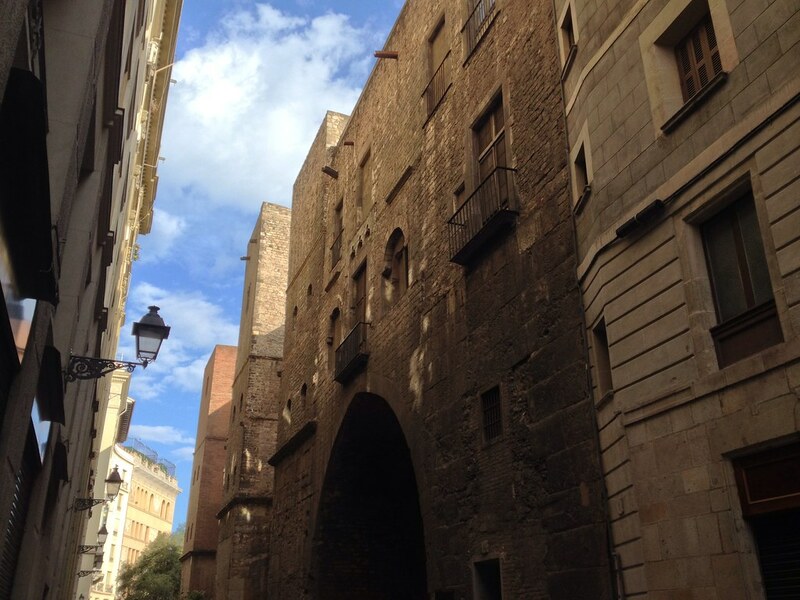 The Barri Gotic (Gothic Quarter) is your next destination and a necessary stop if you have just 24 hours in Barcelona. It’s the oldest part of the city and right next to Placa de Catalunya. The Gothic Quarter is a crowded area containing historic buildings and modern shops and cafes. The narrow roads and medieval architecture can help take you back to the past of Barcelona until you spot a brightly-coloured café. You don’t need a map to walk around and explore the Gothic Quarter. The area isn’t very big. If you get lost, just keep walking until you reach one of the major streets that surrounds the neighbourhood. Again, you’ll have no problem finding somewhere to eat or grab a cup of coffee. The narrow streets of the Gothic Quarter contain numerous alfresco cafes, clubs, bars, and restaurants. Just make sure that you save room in your stomach for the treats that you’ll find at your next stop. When you’re trying to see Barcelona in one day, people like to point out the famous architecture and historic museums. There’s also plenty of markets in this major city. After you’re done exploring the Gothic Quarter, cross La Rambla to reach Boqueria Market. It’s the oldest local market in Barcelona. You can find all types of food within this covered market. Vendors sell everything from fruit juices to meats, produce, and desserts. There’s a never-ending line of food stalls. The area surrounding the market is also full of shops. You can go shopping for books, clothing, art, and even artisanal oils. There’s also a dozen or so bars and restaurants within the market. Take your time sampling the local treats. When your stomach full, it’s time to walk it off. Start walking southeast on La Rambla. The public thoroughfare that you take cuts through the city. It’s also a major attraction. As this thoroughfare takes tourists from one destination to the next, it’s full of local artists, street performers, buskers, and vendors. You’re sure to be entertained as you make your way to the Columbus Monument. Your one day in Barcelona is almost over. It’s time to ride to the top of a historic monument and look back at all the places that you explored. The Columbus Monument was built to honour Christopher Columbus and is now mostly used as a scenic lookout spot. The monument is comprised of a column on a large pedestal. 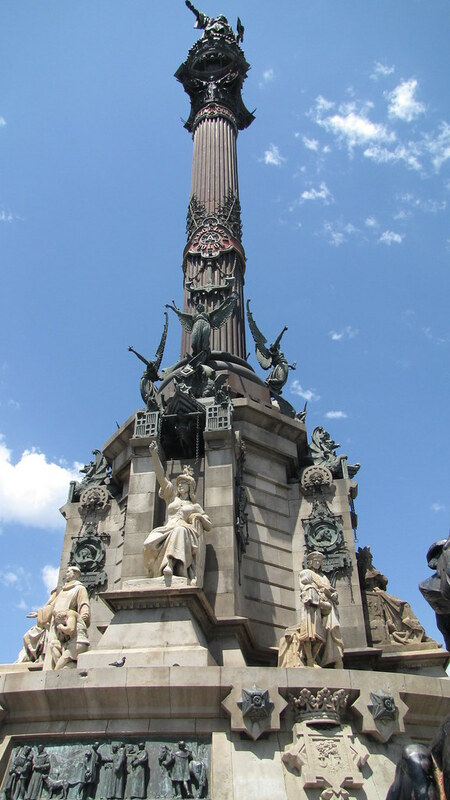 The column stands 40 meters and is topped with a 24-foot tall bronze statue of Columbus. If you’re lucky, you’ll have made it to the monument in time to catch a ride to the top. A small crane elevator is used to lift tourists to the upper part of the statue where you can look out at the nearby port and the rest of Barcelona. When you get back to the ground, your day may be over. If you’ve still got time to explore, head down to the port area. You’re already right next to the port authority and harbour, which is lined with more cafes, bars, and clubs to keep you busy through the night. Hotel Cantón: One of the better picks for those with a tighter budget, this Ciutat Vella hotel features simple, clean rooms that offer excellent value for the location. Room Mate Anna: Offer some of the city’s more unique accommodations, this funkily-designed boutique hotel delivers comfy room that drip with offbeat style. The deluxe rooms, equipped with private balconies overlooking Casa Batlló, are a worthy upgrade. Hotel Casa Camper: A modern boutique hotel featuring bright spacious rooms with garden & city views. 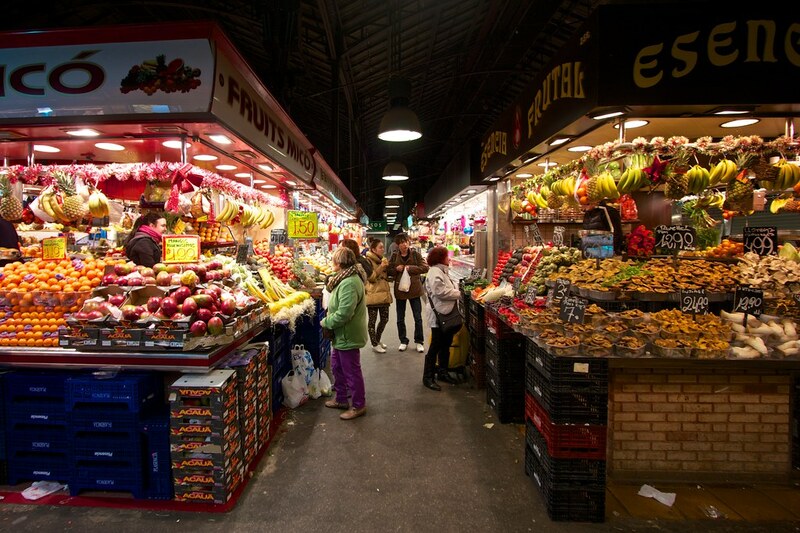 The popular Boqueria market is a short five-minute walk away. El Palace Barcelona: One of the best 5-star hotels in Barcelona, this superb pick will charm you instantly with everything from its historic neo-classical façade & elegant room to the soothing Mayan-style spa & rooftop pool.